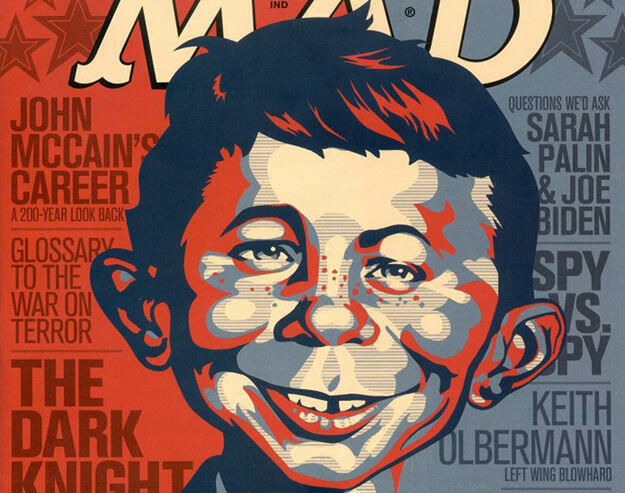 Someone told us that today marked the 54th anniversary of Alfred E. Neuman&apos;s first appearance on the cover of MAD Magazine. Hard to say, since it&apos;s the July 1955 issue, but we&apos;ll buy it; more importantly, though, the granddaddy of all humor magazines (except maybe Prevention, but that&apos;s only because people walking proudly towards death is hilarious) just dropped its 500th issue. So recognize: Without MAD, there would be no Saturday Night Live, no Simpsons, no Apatow crew--hell, no Complex blog. Think we&apos;re wrong? MAD&apos;s had a number of Complex-friendly covers over the years...and yes, we&apos;ve rounded them up as a way to say "Happy birthday, you usual gang of idiots." Blecccch!